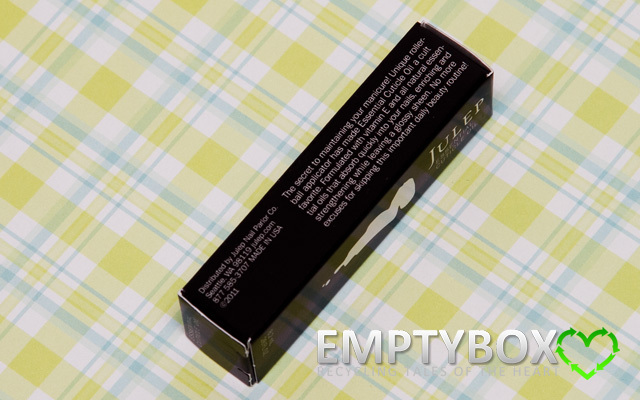 This is my very FIRST mystery box from Julep! 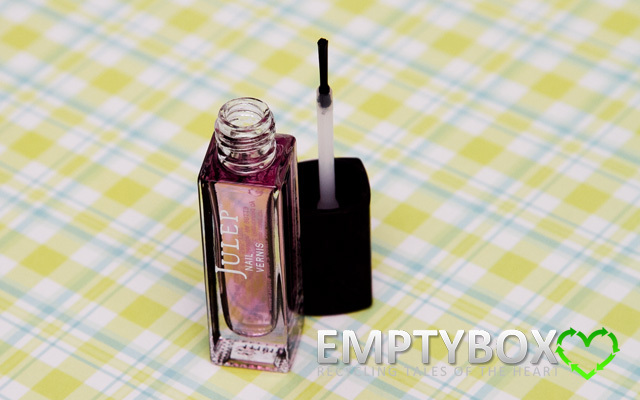 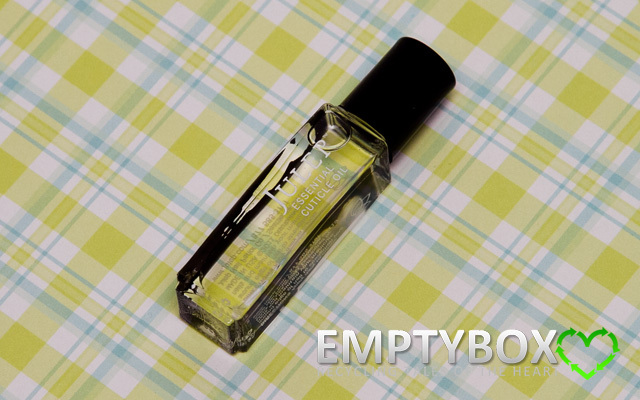 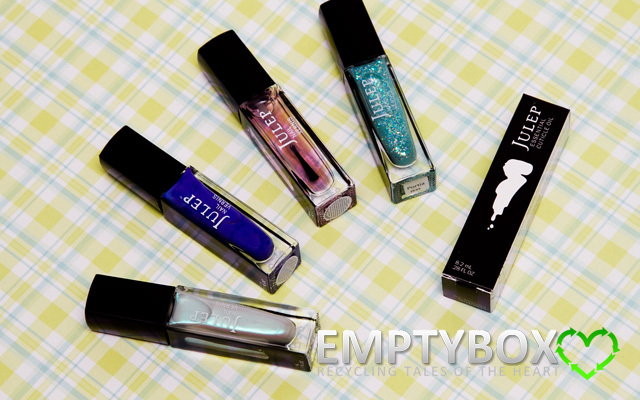 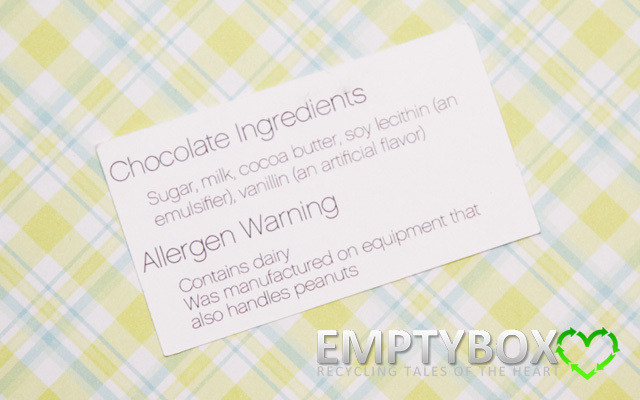 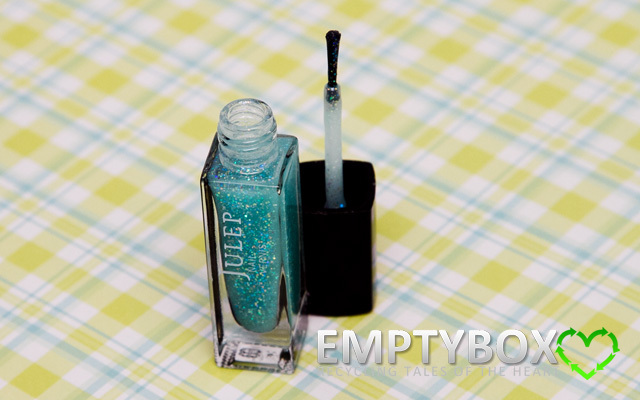 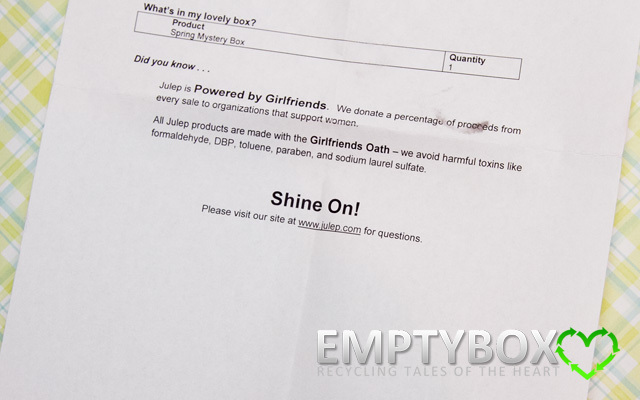 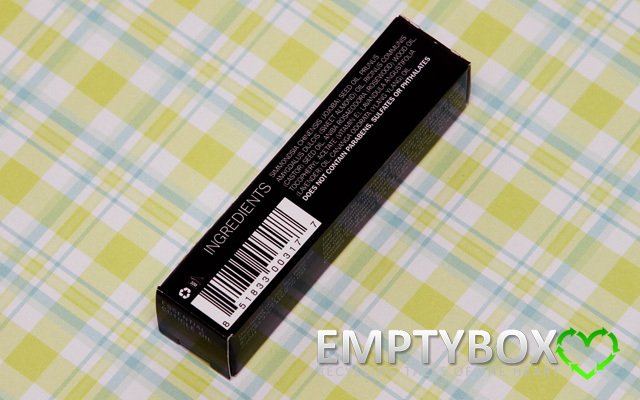 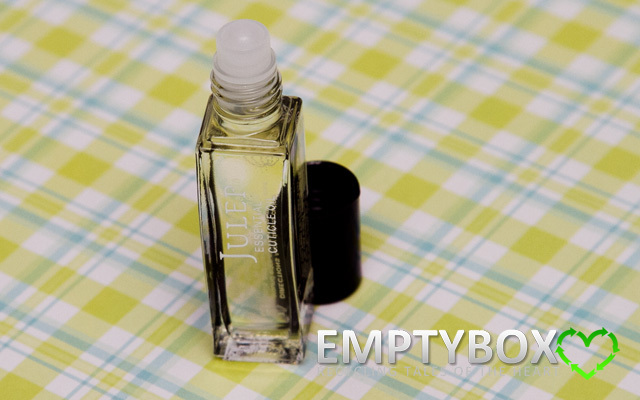 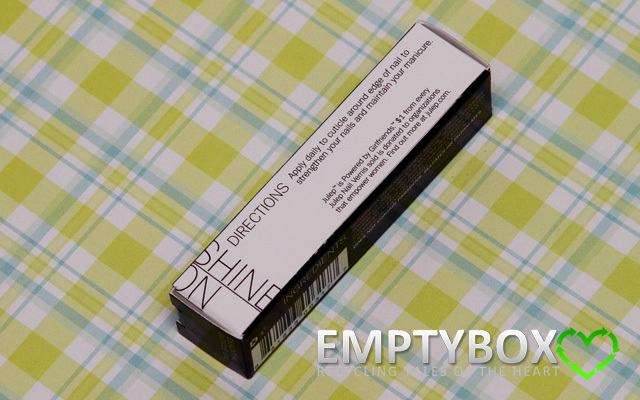 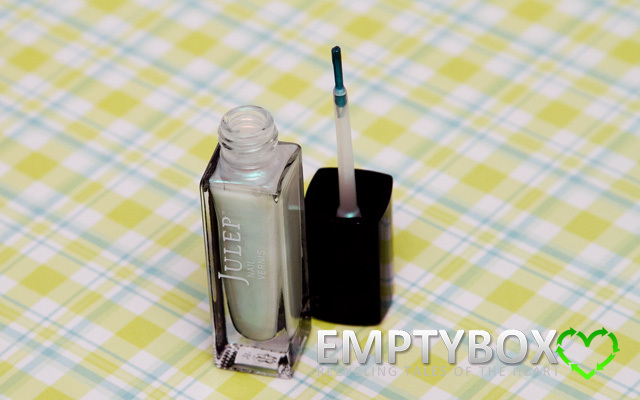 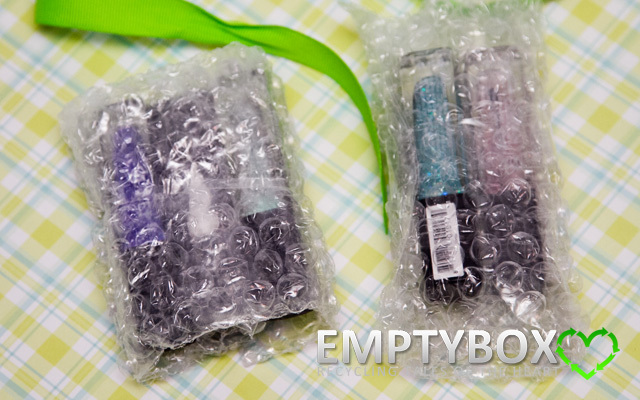 It's the one available for April 2012, aptly named the Julep Spring Mystery Box. 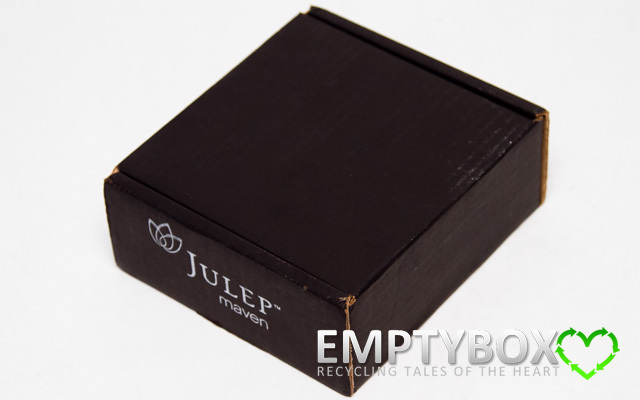 It arrives in a black, square cardboard box with white Julep Maven printed on the side, just like the regular monthly Julep Maven subscriptions do. 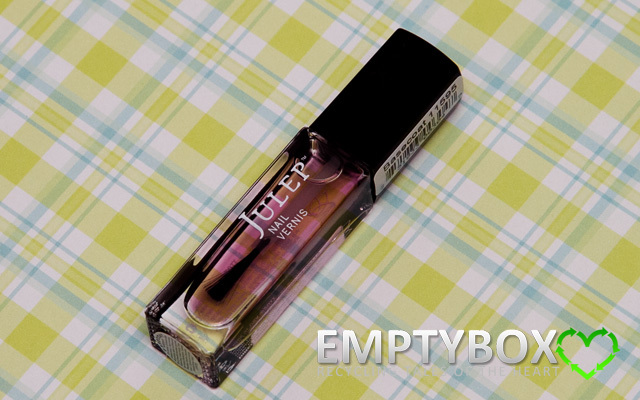 It's just so cute and pretty! 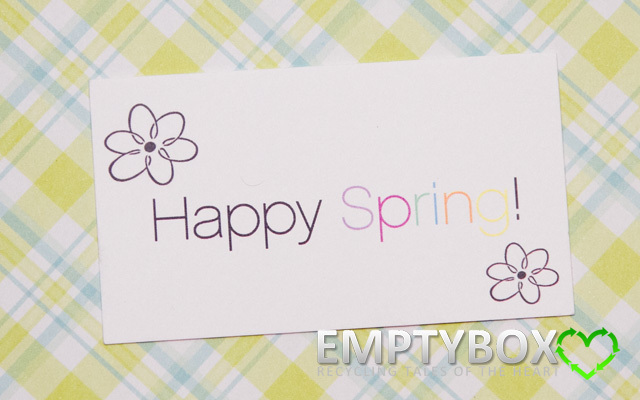 I love the theme they did and the colours really were just so SPRINGY! 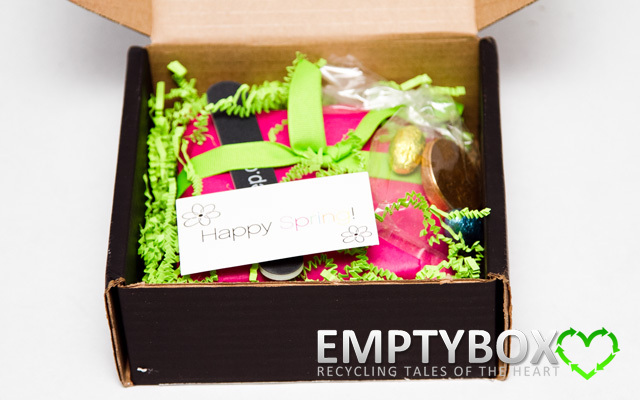 The products are wrapped in a hot pink paper bag, tied with a neon green ribbon. 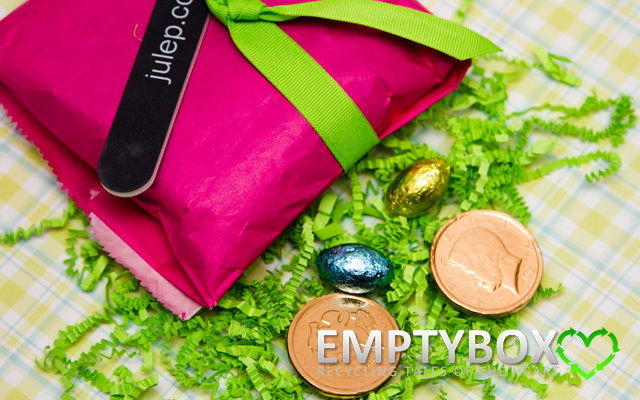 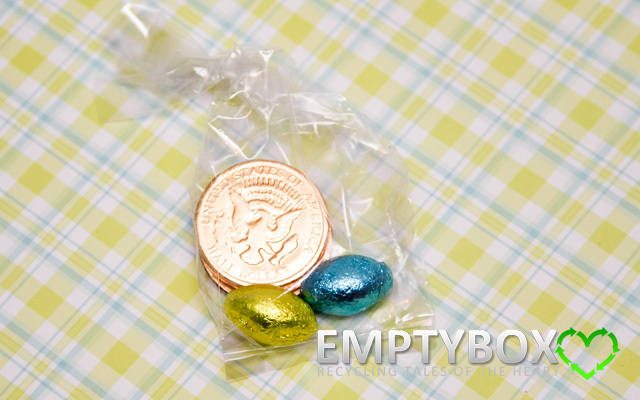 As well, there's matching neon green crinkled paper strips cushioning the items in the box with a lovely surprise of chocolate eggs and chocolate coins adding to the theme of the box. 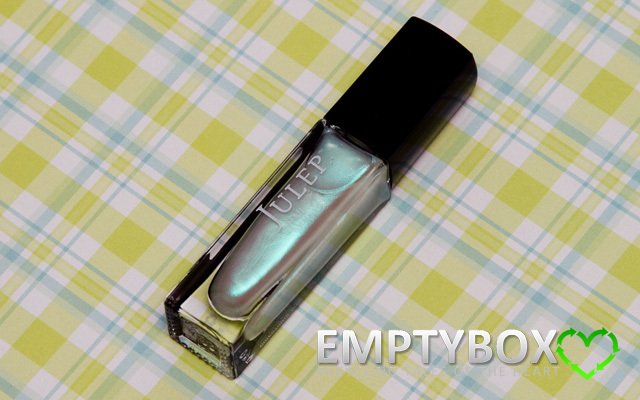 Please note: photo of Taylor shows it to be much darker and bluer than it really is. 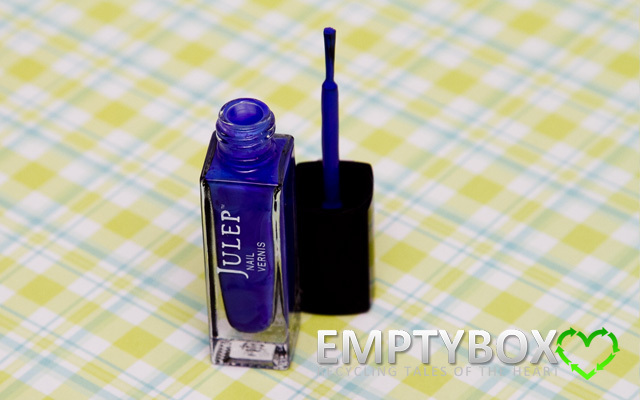 It's closer to a blue/dark lavender purple mix. 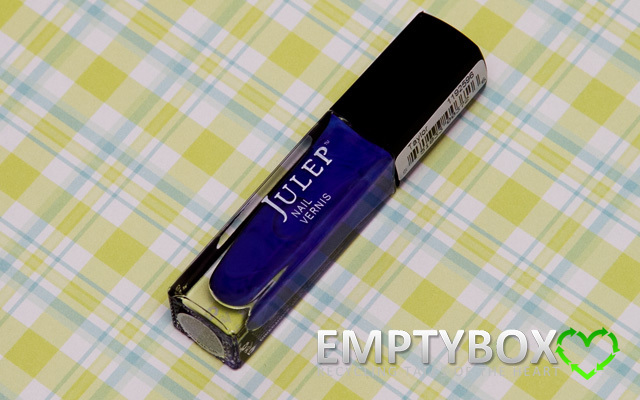 I've heard such great things about Julep Mystery Boxes that I just couldn't wait to sign up for it! 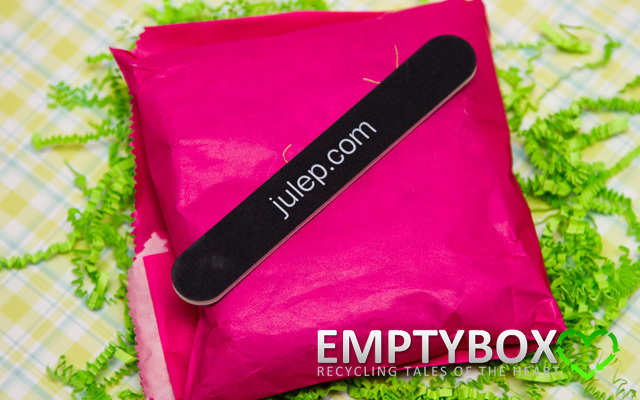 How it works is that Julep randomly offers the mystery box promotions, though it seems like it's usually available for purchase during holidays or special occasions (so hopefully at least once a month). 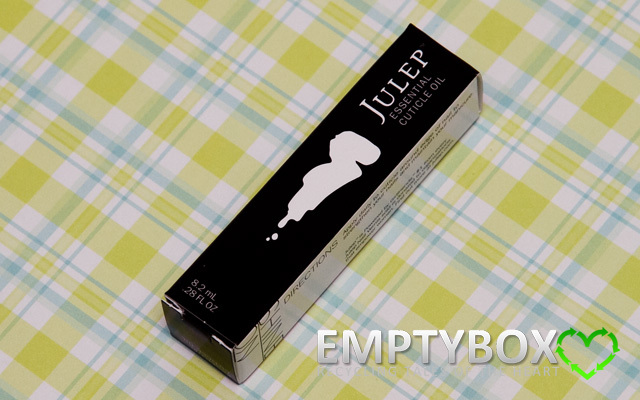 They offer limited quantities of these mystery boxes where every box includes at least $60 worth of Julep's best sellers, where if you're one of the lucky ones, this could increase to an amount of products that's worth up to $200 value! 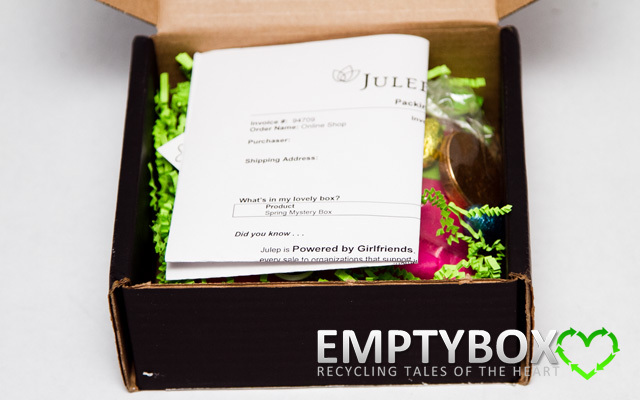 While these mystery boxes sell for $60, there's normally promo codes available so that you could receive the mystery boxes for $19.99. 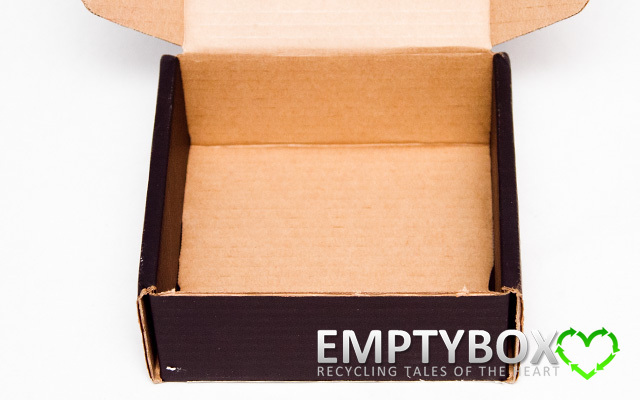 As a result, either way it's great value considering the fact that for $19.99, you receive a box between $60-$200 which in my mind is an awesome deal either way.